Renault marked the lifting of Saudi Arabia's women driving ban by inviting Aseel Al-Hamad to drive a Lotus Formula 1 car at Paul Ricard ahead of the French Grand Prix. As part of a pre-race 'passion parade' that featured several cars from Renault's varied motorsport history, Saudi Arabian Motorsport Federation board member Al-Hamad completed a lap of the circuit in Kimi Raikkonen's Abu Dhabi-winning E20 in Renault colours. It was the first time a Saudi Arabian has driven an F1 car and it was arranged to coincide with the kingdom finally overturning the world's only ban on female motorists on Sunday, June 24. 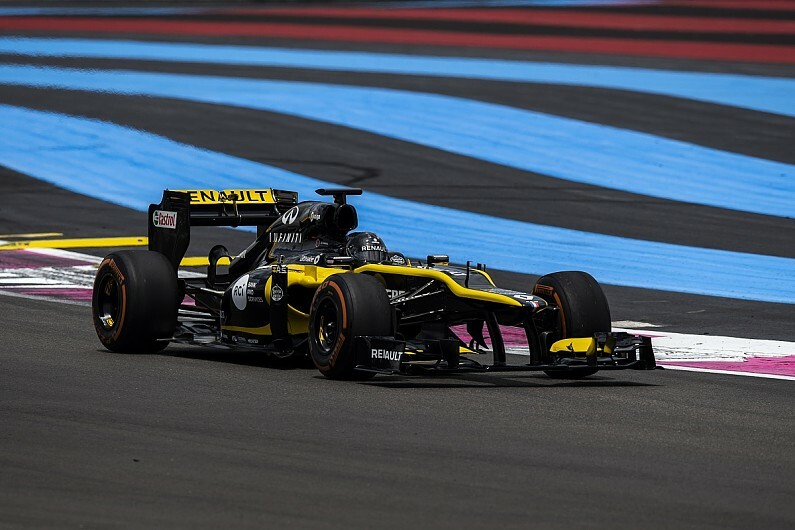 Al-Hamad, who is also a member of the FIA's Women in Motorsport Commission, prepared for the experience on a Renault training day at the circuit on June 5. She drove a Renault road car, then a Formula Renault and finally the E20 for the first time. Asked by Autosport what the experience and the law change in Saudi Arabia represented, she said: "It's a beautiful gesture from Renault and F1 to support a beautiful day in Saudi. "I'm here as an ambassador of my country and I hope I did my best today. [It is] the best way to launch a new beginning, a new era." Al-Hamad has earned a licence in her home country and said she was "very excited" to be able to drive there. She said it would "definitely" be remembered as a significant moment in the country's history in years to come. Saudi Arabia has no significant motorsport history but its capital city Riyadh hosted the Race of Champions last year and Formula E will become the first international series to race in the kingdom when it kicks off its 2018/19 season there in December. Al-Hamad said moments like her F1 experience and the FE race were significant to bring Saudi's intentions to a wider audience. "Everything together adds up to the importance of it," she said. "I'm a sports fanatic, so I'm very happy with that. "It's the new Saudi, and it's for us to show the world." The FIA commission president Michele Mouton, a World Rally Championship event winner, said "in the time Aseel has been a member, Saudi Arabia's vision has been very clear and things have developed at a rapid rate". Mouton said Renault had provided "an innovative opportunity that showcases so many of our principles".